Today, March 21, Al Gore will testify in front of House and Senate environmental panels battling questions on the Inconvenient Truth of Global Warming. From questioners trying to prove there is no such thing as Global Warming to those that think he may have overstated numbers and facts, it is sure to be a heated discussion. Reminder to those following the subject - our online conference today "Investing in the Environment: Global Warming, Global Warning – Investing Today for Tomorrow’s Future"
www.InvestorIdeas.com, and its global investor and industry Greentech portals, reminds investors and industry participants of the upcoming March 21, 2007 online conference: "Investing in the Environment: Global Warming, Global Warning - Investing Today for Tomorrow's Future." With issues of energy independence, global warming and environmental concerns escalating, cleantech investments and market opportunities continue to gain momentum. Joining the in-depth list of industry experts presenting at the conference is Jacob Golbitz, Director of Research at Soyatech, LLC (www.soyatech.com) to discuss trends and opportunities within the biofuel market. He talks about how is excited about new challenges in energy and how "we all need to take action -its a matter of life and death"
POINT ROBERTS, WA and DELTA, BC – March 6, 2007, http://www.investorideas.com/, and its global investor and industry Greentech portals, updates the growing list of speakers and participants for the upcoming March 21, 2007 online conference: "Investing in the Environment: Global Warming, Global Warning - Investing Today for Tomorrow's Future." The in-depth online conference will be available March 21st, 2007, starting at 9:00 am EDT and archived thereafter. The growing number of participants currently includes ten well-known industry experts and six “green” public companies, with several additional presenters pending. “The quality of presentation we have started to pre-record from industry experts is impressive thus far and we feel this online conference will be a valuable research tool for investors following the sector. We have made the educational and informative conference available for free to investors that login and register at http://www.investorideas.com/forums/Register.aspx. For the convenience of investors not able to access the forum March 21, it will be archived for several months,” reports conference co-coordinator Ann-Marie Fleming. 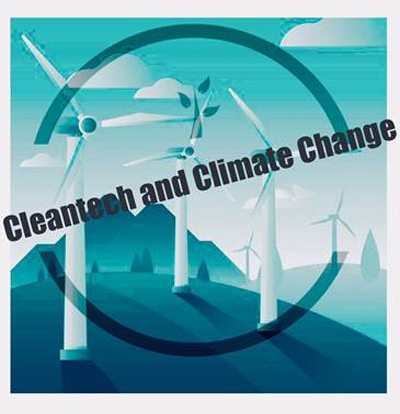 The online conference will include presentations (audio with power point slides or flash) from renewable, environmental, water, clean energy and technology experts providing in-depth perspectives on what is happening in the Greentech sector from venture capital, funds, indices and participating publicly traded companies. Previously announced green publicly traded presenters include: Akeena Solar, Inc. (OTCBB: AKNS), ZAP (OTCBB: ZAAP), Rotoblock Corporation, WaterBank of America (USA) Inc. and International Barrier Technology Inc. (OTCBB: IBTGF). Greentech Industry Speakers include: Jamie Wimberly CEO of the Distributed Energy Financial Group (DEFG) LLC, http://www.defgllc.com/; Robert Wilder, J.D., Ph.D. CEO & Founder of Wildershares, LLC; http://www.wildershares.com/; William Brennan, President & Managing Partner of AquaTerra Asset Management LLC, and Senior Portfolio Manager of the Praetor Global Water Fund; Peter C. Fusaro, Chairman & Founder of Global Change Associates in New York, http://www.global-change.com/; Samuel F. Jones, President of All Season Financial Advisors; Estelle Lloyd, CEO of Venture Business Research, http://www.vbresearch.com/; J. Peter Lynch, an expert in the solar area; Thomas Kuh, KLD Research & Analytics, Inc. http://www.kld.com/indexes; Walter V. Nasdeo, Director of Research/Head of Energy Technology Ardour Capital Investments and David H. Kurzman, Managing Partner of Kurzman CleanTech, L.P. http://www.kurzmancleantech.com/. Source: InvestorIdeas.com, ZAP, International Barrier Technology, Akeena Solar, Inc., Ener1, Inc.